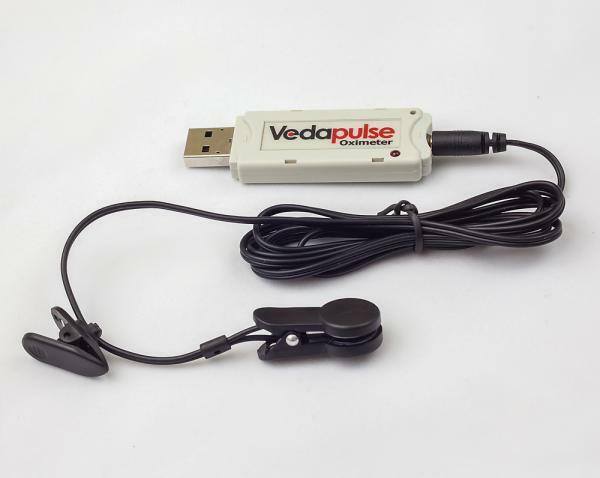 Remote testing capabilities - VedaPulse Oximeter. 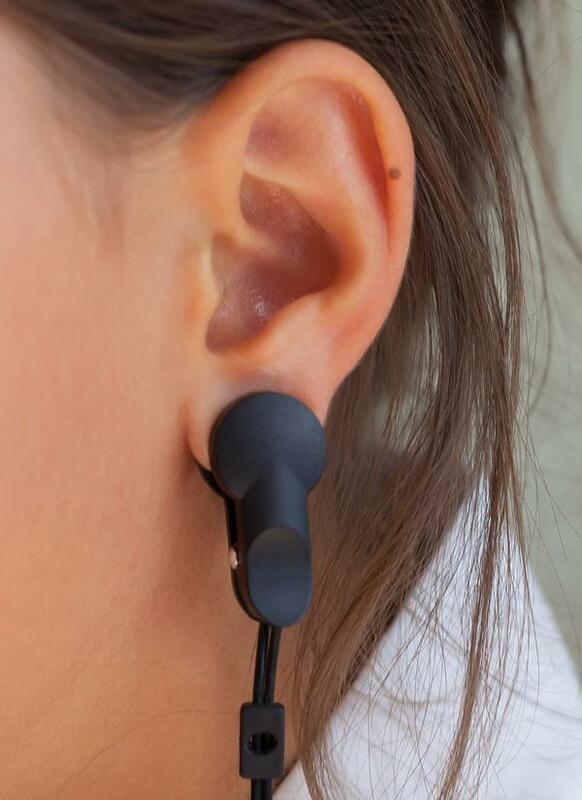 The Oximeter can be given to a client and is clipped to the ear as shown, with the opposite USB connection plugging directly into the Clients Laptop or PC. A 5-minute reading can then be taken in the same way as when a reading is taken through the attachment of the VedaPulse contact clips. The Oximeter also initialises software onto the clients Laptop or PC, so once the reading is taken it can then be emailed directly to the practitioner. This amazing and unique ability to stay in contact with clients, enables the practitioner to receive as many readings as is necessary, providing not only invaluable information on health trends over weeks or months but also a vital service for patients working with chronic health issues, weight loss or fitness programs to name but a few. This can also be of benefit for clients who have received an initial consultation from a VedaPulse practitioner and may live far away from the clinic or find it difficult or costly to travel for follow up consultations. Alternatively, clients who cannot reach a practitioner for an initial consultation at all, can be sent an Oximeter anywhere in the world and receive a consultation via Skype after emailing their VedaPulse test. This offers incredible opportunities for practitioners and clients alike. One Oximeter comes with every VedaPulse purchase and extra oximeters can be purchased by either the practitioner or the client at reasonable cost.